Cow Elk Calls. Predator Calls. Coyote Howlers. 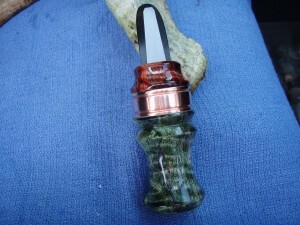 Cow Elk Calls are available in open reed. 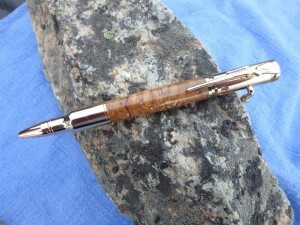 They come in a variety of bodies made from exotic and domestic woods, acrylic, or elk antler bodies. 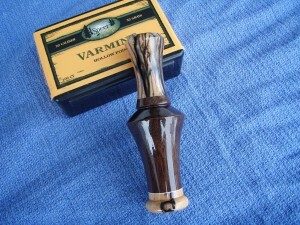 Predator Calls are available in both open and closed reed styles, with a variety of bodies made from exotic and domestic woods, acrylic, antler or cow horn. Coyote Howlers are made from exotic or domestic wood and open reed tone board. 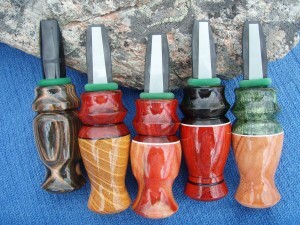 Bitterroot Custom Game Calls truly has something for everyone. 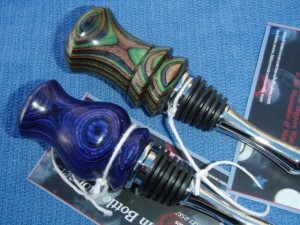 Our handcrafted wine stoppers are a sure crowd pleaser and a unique for that person who has everything.